This year, one in four students headed back to school and will face what no child – or parent – wants to face: a bully that doesn’t back down. In addition to anxiety surrounding school, bullied students are most likely to experience a range of academic and psychological effects outside of the classroom too, including depression, sleep disruption, changes in eating patterns, and isolated behavior. It’s important to remember that at the elementary and middle school level, children are developing physically, mentally, and emotionally. In addition to the turmoil happening internally and externally, students may be faced with a number of new challenges at school, including bullying, teasing, and exclusion by classmates that interrupts positive growth and attitudes toward school and learning. Montessori schools are no exception to bullying behavior, but our approach to dealing with these issues turns these challenges into opportunities for teaching respect and empathy from the very beginning. Bullying isn’t a topic we take lightly at Chesapeake Montessori School. In addition to a zero tolerance policy for bullying behavior, each and every one of our teachers and administrators is trained to teach respect and resolve conflict between students, while modeling peaceful behaviors for children at an early age. Montessori students learn to celebrate their differences. It’s not unusual to find a very diverse group of students in a Montessori school, and the differences among them can be cultural, physical — even cognitive. Regardless of those differences, we believe everyone deserves to be treated with respect, which is why respect, grace, and courtesy represent teachable moments across every subject and aspect of a Montessori education. Learning about other cultures builds a foundation for respect at home. When our students learn about people, places, food, clothing, cultures, and celebrations from around the world, they’re also learning how to be curious about our differences and celebrate the beauty between them. The curiosity and understanding that our students build through celebrating other cultures also make it much easier for them to show respect for the differences among their own classmates, instead of making fun of them for being different or being afraid of the things they don’t understand. Role-playing builds social skills and confidence. As part of our curriculum, we teach grace, courtesy, how to stand up to bullies, and how to come to the aid of a friend, so that our students can learn to communicate with one another in ways that are respectful and appropriate. To help them become more confident in dealing with stressful or awkward situations, we often have students role-play their way through a wide variety of social situations and conflicts, so they have a well of concrete experience to draw from when they encounter those situations in real life. Montessori teachers don’t just resolve conflicts – they teach conflict resolution. When a conflict arises and it’s necessary for a Montessori teacher to step in, the way the teacher handles it provides the students with a healthy example of how to deal with such conflicts on their own in the future. The teacher will take the students somewhere private if necessary to avoid embarrassing them in front of their classmates, and then ask the students to use some of the problem-solving skills they’ve learned, like taking turns talking and using “I” statements, to express their perspective and feelings to one another. Once the immediate conflict is resolved, if necessary, the teacher and the students will continue to work together to find a long-term resolution. Parents and families are allies in ending the bullying crisis. At Chesapeake Montessori School, we like to establish a positive, warm rapport with parents at the beginning of the school year before we ever need to give them difficult information. If and when a bullying situation arises, a teacher will ask for a conference and share how the student isn’t treating others well, or in the case of the bullied student, isn’t being treated well by others. We will always try to solve the problem by working one-on-one with the aggressive child and their family, in order to try and correct behavior. If we can work through the complex feelings of aggression at hand, it may never come to the point of bringing it to any other parent’s attention. In addition to triaging the needs of the child lashing out at others, we also make it a priority to help children on the receiving end of disrespectful behavior learn to stand up for themselves. Keeping an eye on behaviors of both bullies and bullied students are key to solving the root cause of conflict. If a child is rude and disrespectful at home to parents, siblings, or other adults, this might be an indicator to how he or she behaves in public. Since parents are on the front lines of children’s behavior, it helps teachers and administrators to know more about how children treat those around them outside the classroom, so that issues can be resolved with more context inside of it. Are they hot-tempered, impulsive, or quick to blow up? Are they obsessed with being popular, or insist on having their way? These are just a few indications that reveal deeper bullying behaviors, and although parents may struggle to admit that their child could be a bully to others, transparency is necessary in order to understand what’s going on, and what can be done to help everyone involved. Those that are being bullied struggle with other, more subtle signs, such as unexplained injuries, avoidance of school or wanting to stay home, a change in appetite, missing personal items, a desire to isolate and spend time alone, disrupted sleep or avoidance of once-favorite activities. That said, bullying isn’t always bullying. Bullying is one of those words that tends to walk a fine line and requires some unpacking. While bullying and the effects of bullying behavior are real, sometimes what parents see as bullying is simply disrespect manifesting early and often. Bullying itself means a repeated attack on the same person or many people, using the same bullying behaviors and intimidation tactics. It’s about seeking power and control over a situation, in order to stand-in for control over feelings or emotions that haven’t been fully explored. Although a child was teased once about his new haircut, or made fun of for her name in passing, doesn’t mean they were bullied — but it does mean they were disrespected and treated unfairly. Families are best equipped to help students work through conflicts at home. As parents, we never want to think that our polite, well-mannered youngster could be putting others down. That’s why candid, open conversations about acceptable behavior should happen regularly at home, around the dinner table, in the car, or in line at the grocery store. When disrespect does rear its head, consequences need to be meaningful and consistent in order to help children learn what kinds of behavior won’t be tolerated — and why. 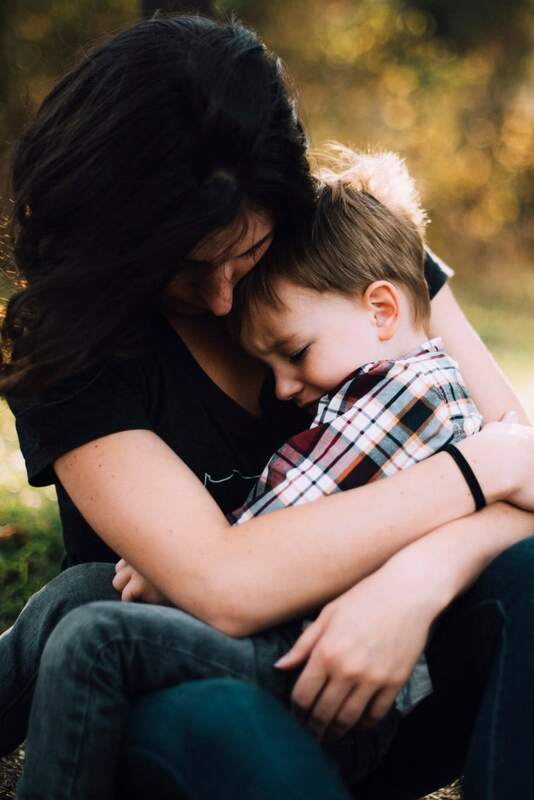 At a fragile age when children are constantly looking to their parents for approval, acceptance, and positive affirmations, parents are in the ideal position to model the facets of kindness, acceptance, grace, generosity and love in their actions towards others. That kind of behavior, above all, is often the single most powerful influence a parent can have.